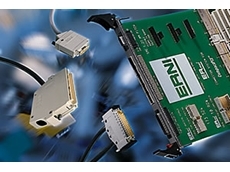 ERNTEC Pty Ltd is a leading player in the manufacture and supply of precision components to all sectors associated with electrical, electronic and medical engineering. Products include backshells, backplanes, cabinets and racks, subracks, connectors, enclosures, Fieldbus products,motors and gearheads, couplings and opto electronic components. Faulhaber products are designed to meet demanding requirements in all fields of high precision motion and control applications. In particular for those applications that demand precision, long life and maximum power in a small package you should choose Faulhaber.Low starting voltage even after long stationary periods Ironless rotor with self supporting skew winding Low inertia very rapid starting High efficiency High power to volume ratioDesigned for applications where precision and reliability go hand in handDue to its small, lightweight design, Faulhaber Miniature Drive Systems are recommended for practical applications where difficult operations and extended lifetime are the primary importance. Factory Automation and Robotics Industrial Machinery and Equipment Precision Instrumentation Precise Movement for Optics, Video and Audio Devices Office, Security and Communication Automotive, Aerospace and Aviation Medical and Laboratory Environmental and Safety Motor Products Micro Drives and DC Micro motors Piezo Electric Drives Linear Drives Brushless DC Motors Precision Gear heads Encoders DC Tacho Generators and DC Motor Tacho Combinations Drive ElectronicsMiniature Stepper Motors Single Phase and Two Phase Stepper Motors Precision Gear heads EncodersWith small diameters from 1.9mm up to 44mm, nominal voltage up to 56 V and output power up to 200 W, The Faulhaber offers a wide range of DC Micro motors and accessories for the most demanding and precise applications. ERNTEC has a reputation for superior tailored cabinet and rack design. Their experienced team combines modern tools (3D-CAD design) and manufacturing know how to provide practical solutions to match any budget. Tailored cabinet designs Durable cubicle SE System with galvanised steel profiles Spacious 19" and 23" cabinets with an easy to access front door single point locking 19" desktop enclosure with a flexible design capability, making it cost effective Use welded cabinets with higher IP protection rating in aggressive or outdoor environmentsChoose from a wide range of accessories for ERNTEC cabinets and racks, including air management, cable management, panels, plinth & base, power distribution, shelves and miscellaneous items.Typical Cabinet and Enclosure Options 19” / 21” /23” Standard Cabinets 19” table top enclosures ETSI cabinets Welded Cabinets Outdoor Cabinets Heavy Duty Cabinets Electrical Cabinets Telecommunications Cabinets Fibre CabinetsERNTEC's ability to design and manufacture enables them to deliver the cabinet that you want. 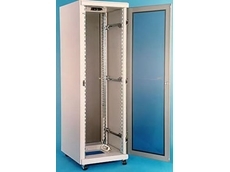 For 18 years, ERNTEC have built enclosures for a wide array of industries including the following industrial, electrical and electronic, telecommunications, data and cabling, defence, IT computer and scientific.The modern design of ERNTEC’s cabinets and customisation abilities provides the perfect tailored solution for your unique requirements. Available from ERNTEC, Mentor's M-TUBE is the first LED light guide system that provides perfectly homogeneous light to the environment with just two LEDs. The LED light enters at the ends of a clear guide bar and is disipitated in a targeted way along an imprinted reflector line inside the bar. Features of the Mentor M-TUBE LED Light Guide SystemsExtremely long service life of up to 50,000 hoursZero or low cost intensive maintenanceMinimal heat generation and Higher energy efficiencyNo warm up necessaryModularity of the system and hence flexibility of useRGB versions availablePlug and Play versions availableApplications of the Mentor M-TUBE LED Light Guide SystemsThe small and compact design makes M-TUBE ready for use in a wide range of applications: M-TUBE can provide an LED source for applications in which safety and reliability are top priority Lower brightness and flexible versions can be used in decorative and Indirect ambience architectural applicationsHigh Brightness versions can be used for larger area illuminationM-TUBE High Brightness (MT-HB)Each MT-HB single module has high efficiency dragon LEDs (2 per unit)Special Aluminium body for thermo managementFour standard lengths (100mm, 300mm, 500mm, 700mm)Various colours (three shades of white, red, green and blue, RGB)Two types of power connection (connecting leads or plug and light version with a mains plug) MT-HB module can be combined with rigid or flexible M-TUBE light guides in various lengthsThe M-TUBE LED light system can provide quality lighting options for applications requiring low energy consumption, extremely long life time without expensive servicing requirements and minimal heat generation. From decorative and creative accentuation in architectural lighting to a wide variety of illumination applications the scope for M-TUBE is only limited by your imagination. 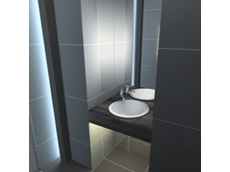 ERNTEC can offer a wide range of options to give any project a reliable and professional appearance. ERNTEC has access to high quality optoelectronic solutions from Mentor GmbH, from standard LED to custom light guide systems. Opto Electronic Components SMD LEDs, THT LEDs LED Displays for front panels LED Elements lying LED Elements upright Surface Symbol Illumination System SMD TOP LEDs Bar graph Displays LED Arrays LEDs in Chrome Mounts Plastic Mounts for LEDs and Lamp Sockets Light barriers LED TesterLight Guide Systems Light guides for Front panels Light guide Displays, Lying and Upright Multiple Displays Flex Systems M-PIPE (LED Light Guide Components) Custom Options M-TUBE (LED light guide system that disipitates light perfectly homogeneous to the environment) AccessoriesMentor's wide range of LED and light guide options coupled with their mechanical experience allows ERNTEC to offer customers a complete solution. 23/05/17 - Faulhaber has introduced new 26/1R and 32/3R Series gearheads, extending their Series R metal planetary gearhead portfolio beyond the existing 20/1R model. Measuring 26mm and 32mm in diameter respectively, the new products represent the evolution of previous 26/1 and 32/3 gearheads, maintaining the same geometry to guarantee mechanical compatibility with their predecessors.The output power available for impulsive cycle operation has been more than doubled compared to the previous generation, showing a key performance improvement made possible through deep design analysis, extensive testing and meticulous validation.The new 26/1R and 32/3R gearheads significantly improve input speed by achieving continuous input speed up to 9000 rpm and 8000 rpm respectively, resulting in an impressive 100% increase. In intermittent operation conditions, the input speed can reach up to 10000 rpm and 9000 rpm respectively, to exploit at best DC or brushless motor capability. Maximum output torque has also been enhanced to exhibit up to 4 Nm and up to 8 Nm in continuous operation.The new 26/1R and 32/3R gearheads are available with one to five stages, and the span of the 13 possible reduction gear ratios ranges from 3.7:1 to 1526:1. Key features also include no axial play in the output shaft thanks to the preloaded ball bearing; typical operating temperature range of -10°C to +125°C with options available for lower temperature range of -45°C to +100°C; and flexibility to be used in combination with many motors using various technologies such as DC motors, brushless motors and stepper motors with diameter starting from 23mm up to 35mm.Faulhaber specialises in the development, production and deployment of high-precision small and miniaturised drive systems, servo components and drive electronics with output power of up to 250 watts. 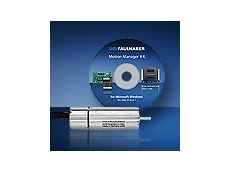 The product range includes brushless motors, DC-micromotors, encoders and motion controllers.In addition, Faulhaber offers customer-specific product development and complete solutions for application areas such as medical and laboratory technology, automation technology and robotics, precision optics, aerospace and other industries. 18/05/17 - Faulhaber announces the introduction of a new brushless DC servomotor to their extremely powerful BP4 product family. Available in Australia from ERNTEC Pty Ltd, the new brushless DC servomotor 2264…BP4 offers an outstanding ratio of torque to size and weight, while the miniature drive comes with integrated sensors and a wide speed range.The 4-pole motor achieves a torque of 59 mNm with a weight of just 140g and a diameter of 22mm. The DC servomotor also reaches up to 34,500 revolutions per minute, thanks to the innovative segment winding of the coil, which was developed for the brushless DC motors of the BP4 family. Given the overlapping, nested, individually wound segments, an especially large amount of copper can be accommodated in the coil. The compact coil in the servomotor leaves sufficient room for a resilient shaft with a diameter of 4mm and suitable bearings. Key benefits also include low inertia, making the motor well suited for dynamic start/stop operation; overload resistance; longer service life than standard DC micromotors; and wide operating temperature range of -40 to +125 degrees Centigrade.Optionally integrated analogue Hall sensors can replace an encoder in the majority of applications and determine the position of the output shaft very precisely. Compatible optical and magnetic encoders are also available for high-precision applications.Faulhaber’s new brushless DC servomotors are ideally suited for industrial automation and can also be used as handpieces for electric tools such as electric pruning shears and screwdrivers, motorised instruments for surgery, grippers and robots, and also for aerospace or active prosthetics.Additionally, Faulhaber is introducing a drive with integrated motion controller to its family of motors. The 3274…BP4, considered the most powerful motor in the family, is now also available as a motion control system. This combines the brushless high-performance motor with control electronics in an extremely small space, creating a highly dynamic drive system for complex positioning tasks directly in the automation environment.Faulhaber specialises in the development, production and deployment of high-precision small and miniaturised drive systems, servo components and drive electronics with output power of up to 250 watts. The product range includes brushless motors, DC micromotors, encoders and motion controllers. 25/11/10 - ERNTEC offers three different types of connector housings for the Series D-Sub connectors. 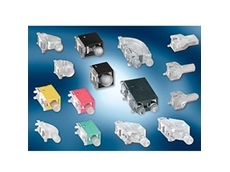 The mechanical protection provided by the cable housings make the PCB- related D-Sub connectors suitable for all kind of electrical interfaces. They can be used as board to wire connectors, as coding or test plugs or as plug in jumper connections. Suitable guide elements assist in matching the two connector halves and also offer coding possibilities. These fully insulated housings feature inner shielding plate and comply with DIN 41 652 and MIL C-24308. 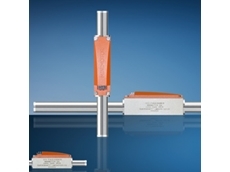 The KSG 200 and KSG 185 are housings with snap-in latches and/or screw locking and integrated coding. The KSG 183 are housings with snap-in latches. 24/11/10 - ERNTEC introduces the new Faulhaber 22 mm Brushless DC Servomotors with integrated Motion Controller, which extends the portfolio of four pole brushless DC servomotors. 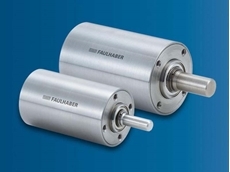 The new Faulhaber 22 mm Brushless DC Servomotors are the world’s most compact drives with integrated motion controller. This new series combines all the advantages of the BX4 four pole brushless technology with a single axis motion controller. High reliability, high torque, compact slotless design with no cogging torque, and robust construction without the use of adhesives make these new DC servomotors ideal devices for complex areas of application like robotics, automation, medical and laboratory technology, specialty machinery and aerospace. The drives are based on the flexible and easy to use Faulhaber motion control platform. The compact motion controllers, which fit within the diameter of the motor, combined with the motor and a full range of gearhead combinations provide a versatile modular platform for a variety of applications. 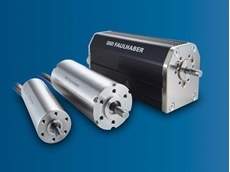 The following are other features of the new Faulhaber 22 mm Brushless DC Servomotors with integrated Motion Controllers: Available with a RS-232 serial or CAN interface.Easy configuration using the free Faulhaber Motion Manager 4.4 software. Wide operational temperature range from -25 degrees C to 85 degrees C Continuous current up to 0,69 A with a peak of up to 3A. Speed can be precisely controlled from down to 5 rpm and up to 8000 rpm. Custom firmware and software are available on request. Factory preset current limits to protect the motor and electronics during normal operation. Upon request the drives can be supplied with separate motor and electronics voltage supply connections.